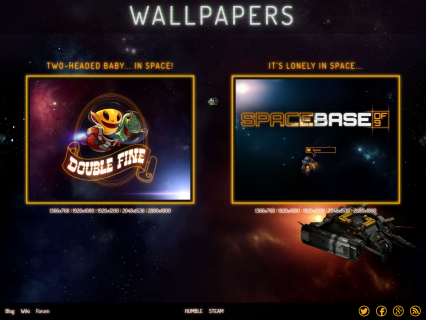 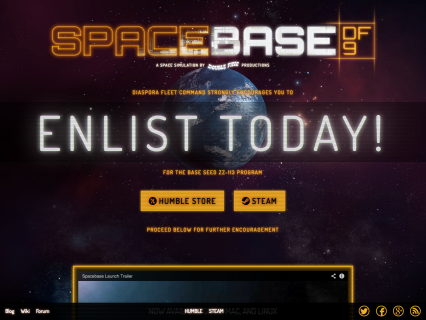 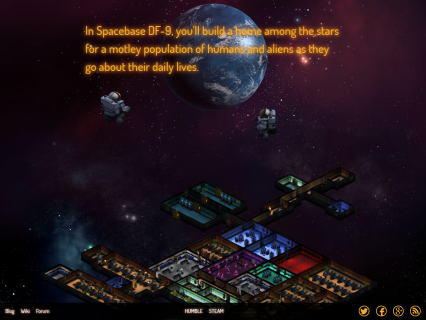 Spacebase DF-9 is a space station simulation by Double Fine Productions. 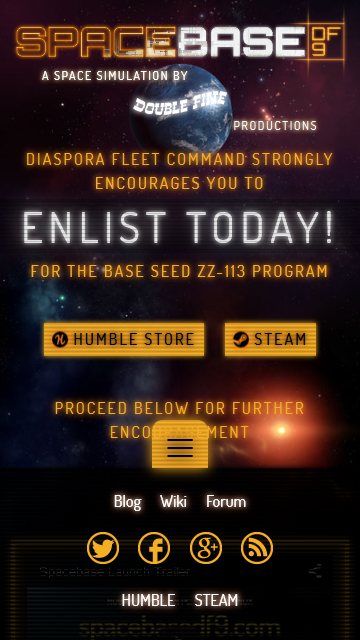 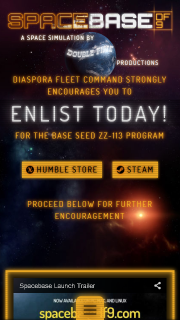 As with most of their games, I made them a one-page “mini-site” that provides a trailer, screenshots, a little information, and links to buy the game. I’ve been wanting to experiment with scroll-based animations for a while, and this seemed like the perfect opportunity. I used the skrollr library to handle all of the animation on the page (including the SVG animation of the gridlines), and it even works on mobile devices. 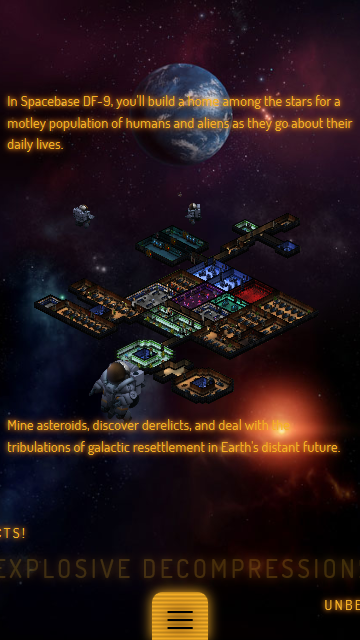 It was a lot of fun working with assets that were graciously provided straight from the game. 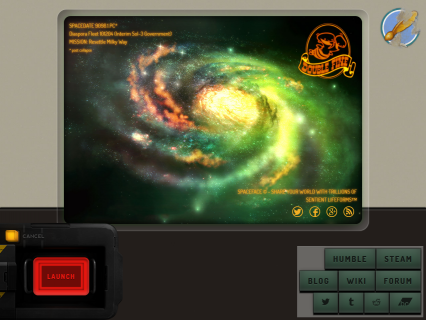 I also recreated the computer console from the game in CSS and made some nice chunky buttons (CSS & SVG) to fit the theme. 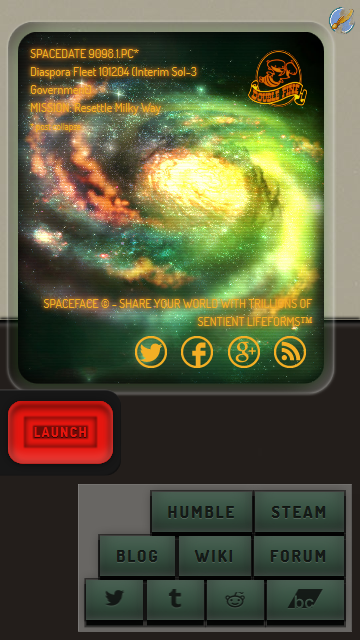 You can view the live website and see the scrolling animations in action at http://spacebasedf9.com.